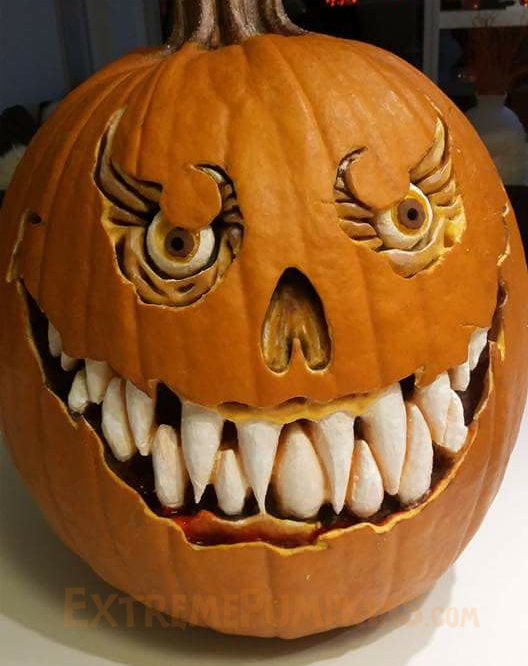 This person is giving us a lesson in how to carve eyes and fangs. Have a close look and see if you can do the same thing. I'm gonna give it a try.